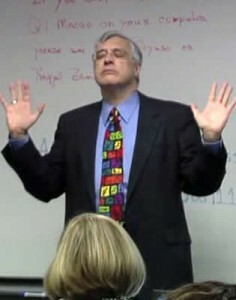 "Davis taught me more in this class then anything I learned during my six sig green belt certification. I bought both books and will share with my colleages who were unable to purchase because the bookstore ran out the 1st day." "Time well spent. Class provided great clarity on how to present performance improvement in simple views. Thank you." "Davis is a very dynamic speaker and I was surprised that he held the attention of the audience for what could be a very dry subject." "Best presentation on the subject I've ever had the privilege to hear." "Every nurse and physician should attend this course. I wanted a bit more of the advanced topics from this workshop." I consider mentoring a “conversation between colleagues”. 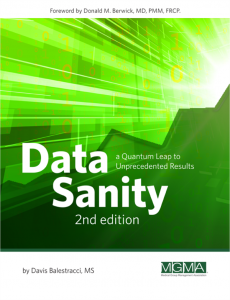 We will discuss chapters from my book Data Sanity. As we talk about how it applies to your work, we will expand your horizons, both statistically and culturally. I will help you look at your own organizational data in a new light and guide you in presenting it more effectively – especially by stripping out a lot of the jargon and “traditional” analysis (p-values and confidence intervals). Rather than just reporting on data, I will also give advice on how to initiate appropriate follow-up via action on the analyses–including how to educate your audiences using the principles in Chapter 2. Our work together will expand your role and increase your effectiveness. The 3-month initial commitment includes two 45-minute phone calls a month (six calls total) and unlimited e-mail exchanges. Is the Pareto Principle Coming Home to Roost?